Coco Fashion is not a newbie in online clothing and accessories store, they have been an established business for quite some time now. But only a few days ago that I happen to stumble upon their website. If you are not familiar with them yet let me introduce them to you. 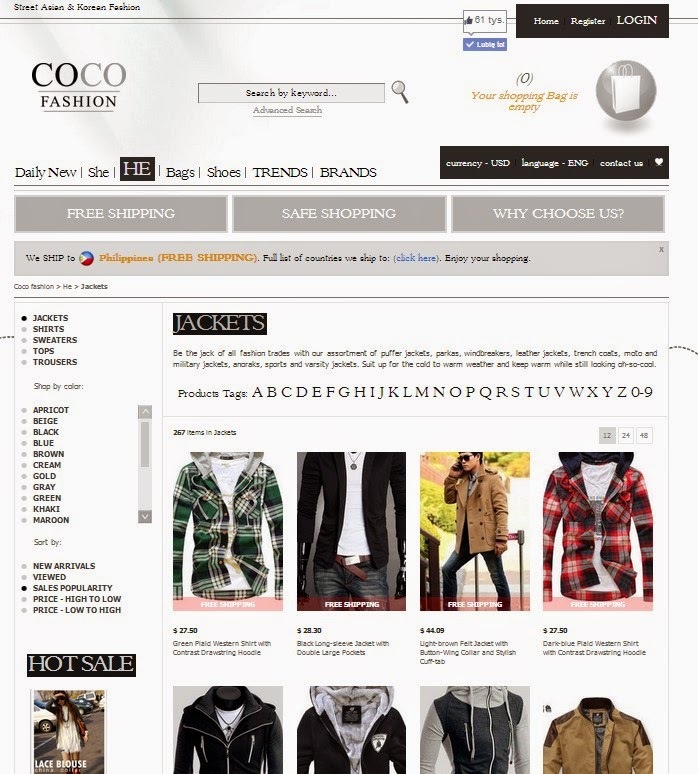 Coco Fashion a Hong Kong-based web store who caters to both men and women and offers a wide range of apparel, accessories, bags and shoes. They aim to give their clients fashion at its best. 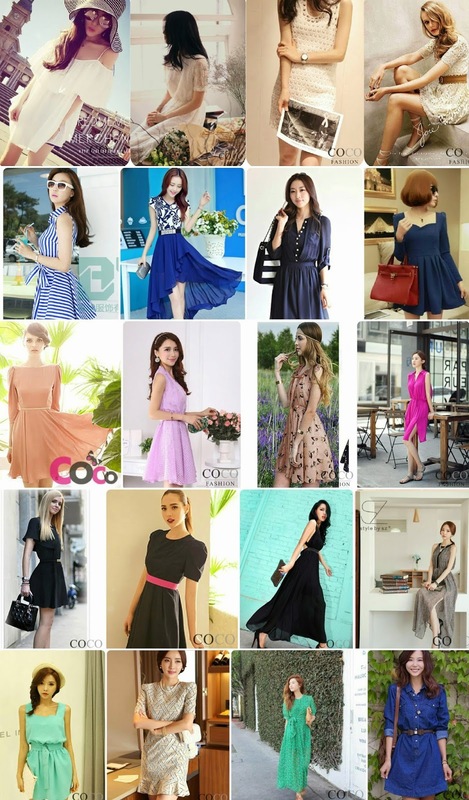 Coco Fashion presents an exceptional lineup of Korean, Thai, Chinese, and Japanese clothing that can match any fashion style. From casual to formal wear, their online clothing store has everything to complete your look. They have dresses, blouses, blazers, tunics, pants, and leggings for women. Their collection also includes a wide range of jackets, shirts, and trousers for men. They are one the best place to find that stunning outfit for an upcoming party or comfortable wear when you go out with friends for the weekend. I have brought back my love for dresses and started building my dress collection all over again. A few months back I noticed that I have been wearing mostly jeans and trousers paired with blouses at work or whenever I go out, and that doesn't make me feel like I'm truly a girl. Plus my wardrobe got so limited too that I decided to purchase more dresses than blouses and jeans. You can never go wrong with wearing a dress, because you'll never know when an occasion will call for it and you find yourself clueless on what to wear. I've browsed through COCO Fashion's Dress Collection and found some really pretty pieces that I want to add to my ever-growing dress collection. And yes you got it right they went straight to my wishlist box and pinned them to my Pinterest account for future reference (or shall I say purchase hehehe). These are very versatile pieces that I know I can use for work or during casual days, they can also be dressed up or dressed down depending on the occasion. Now, that's what you call value for your money. Coco Fashion has something for everybody, they even have a Men's Section/Collection! So if you're trying to find a stylish gift for your husband, boyfriend, brother, father or any male relative or acquaintances, you might want to check it out too! Coco Fashion also takes pride in having quality pieces that meet any budget. They check every item for manufacturing defects before shipping them to guarantee the product's quality. They always update their Japanese and Korean clothing online so always check their catalog for new products. And did I mention they also offer Free Shipping to anywhere in the world? Register today so you can start shopping for the best Asian fashion items from COCO Fashion! I'm definitely sure you will love what they have to offer! Nice and informative information shared by your blog on Clothing. I really appreciate it.